 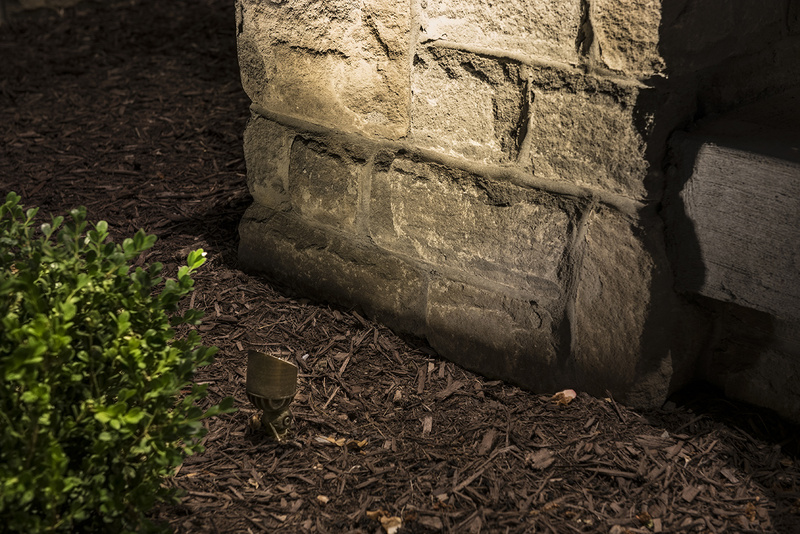 This lovely Raleigh suburban home was illuminated by Lighthouse Outdoor Lighting to bring out the details in the mixed siding materials of brick, stone and wood. 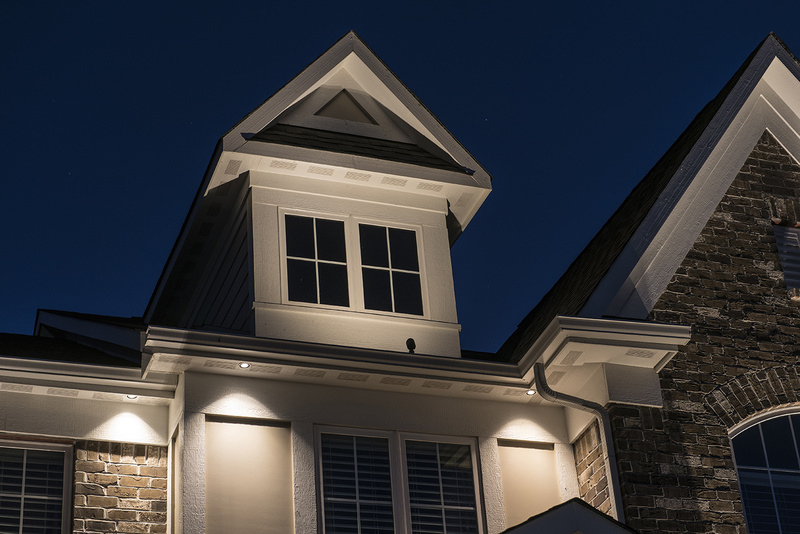 The home presented many challenges with its multiple rooflines, dormers and porch overhangs. 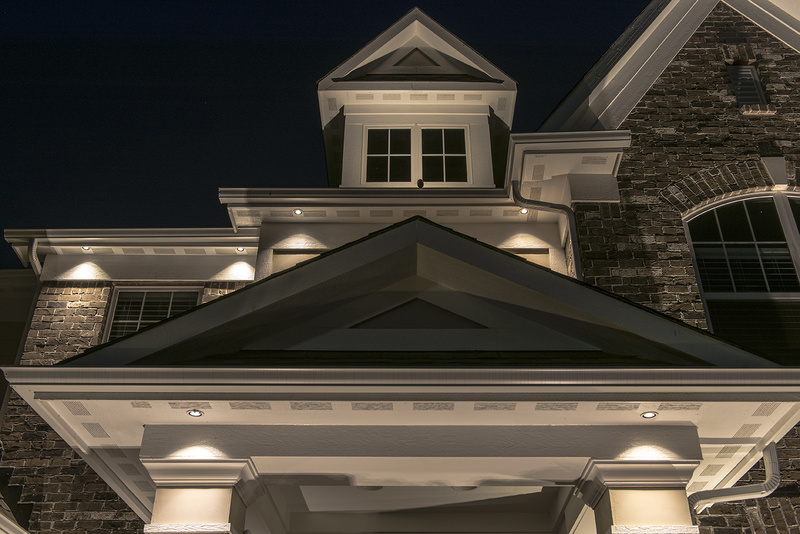 Traditional up lighting was applied on the outside left and right of the home where it would be able to reach the peaks of the home unimpeded by structures that would block the light and create hard shadows. 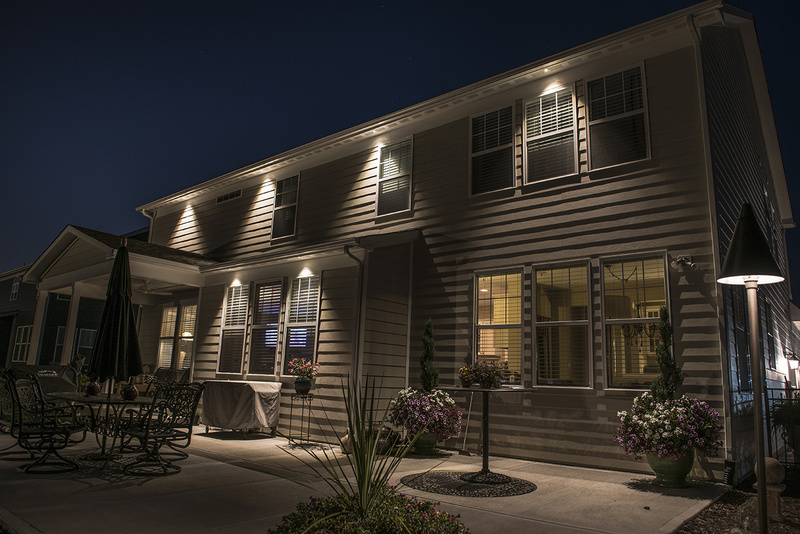 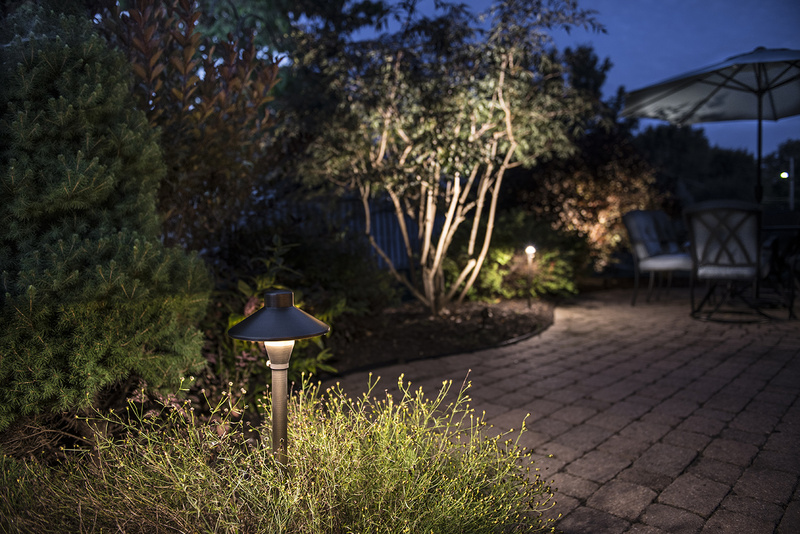 We applied small recessed down lights in the setback areas to provide a consistent level of illumination from side to side where the up lights were applied. 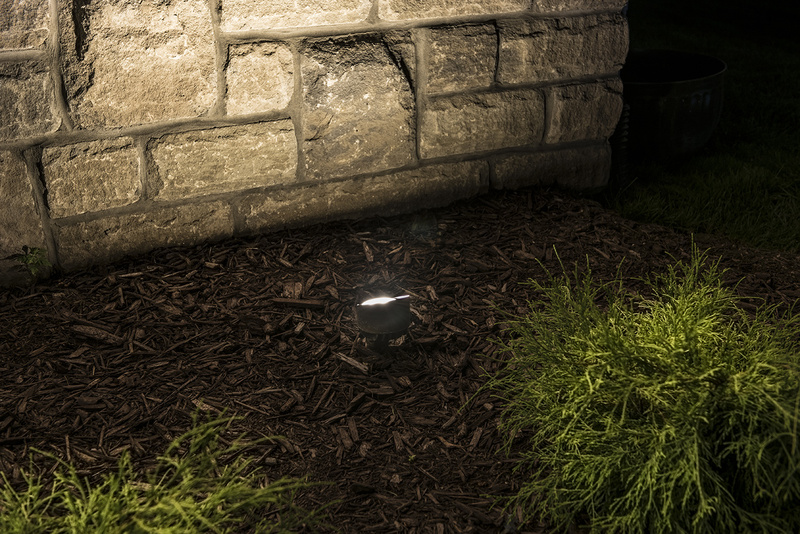 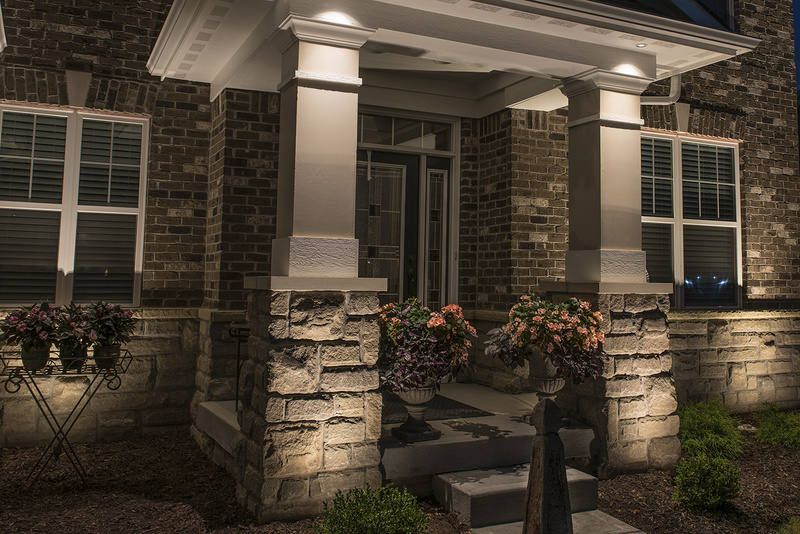 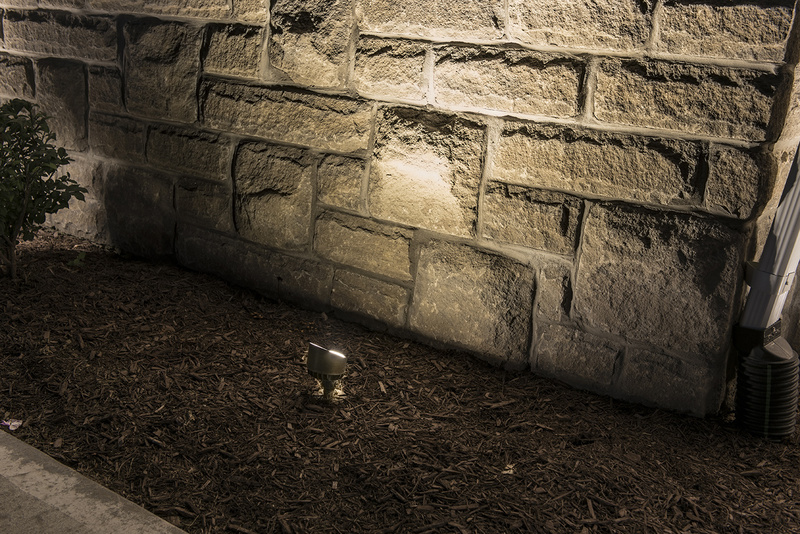 Recessed lights were also placed over the columns at the entry to illuminate the steps leading to the front door.